Bringing 25 years experience as a holistic health practitioner, a deep sensitivity, and a gentle nurturing touch, my aim is to leave you feeling relaxed, nourished and rejuvenated. My interest in natural healing, and the body’s ability to heal itself began in my early twenties when I started practising yoga and meditation. This heightened interest in the mind, body, spirit connection soon led me on to train in Thai Massage, Reiki (to Master level) and Reflexology. In 2014 I completed the Facial Reflexology and Zone Face Lift training. I have worked in a hospice, in corporate environments, in gyms and privately. I was recently a freelance practitioner at the Bamford Haybarn Spa at Daylesford, and at Soneva Jani in the Maldives. 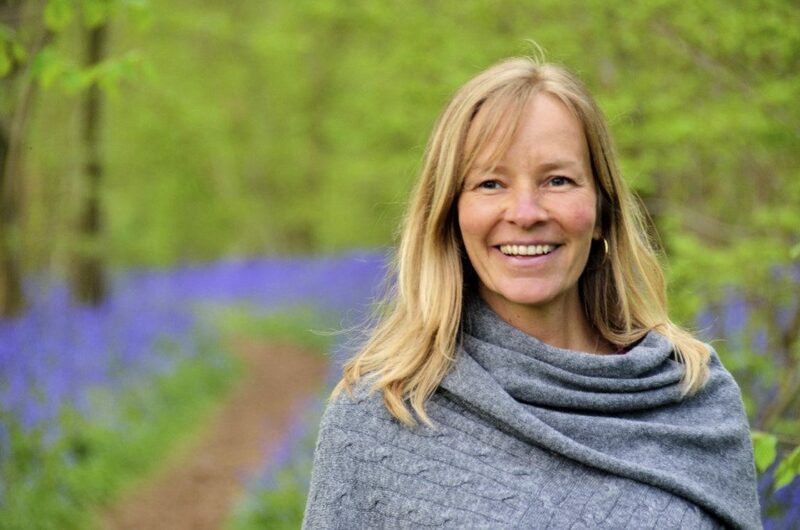 Believing that it is essential for our health and well-being to spend time in nature, I also run events and retreats designed to help people slow down and reconnect to nature and self. To this, I bring my life-long love of nature and my background training in Survival and Nature Awareness, Wild Food Foraging, Deep Ecology, Walking Leadership and Permaculture. As well as leading walking retreats on Dartmoor and nature/dance retreats for women, I have worked with children and adults in nature for Devon County Council, bushcraft companies and children’s centres. In 2006 I spent time in the Australian outback and in the UK working with the Australian Aborigines. The wisdom and philosophy I have learnt from these ancient people and their connection to the land inspires all of my work. Treatments are available at my home practice in Stroud and at Nailsworth Natural Health Centre. Home visits in Stroud and surrounding areas are available upon request. I am fully insured and a member of the Association of Reflexologists.